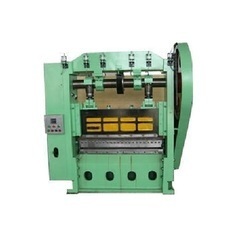 We are a leading Manufacturer of expanded metal machine from Amritsar, India. Keeping in the mind various requirements of our clients, we are offering premium quality Expanded Metal Machine that is high on demand in engineering related industries. Our offered expanded metal machine is manufactured using the optimum quality components. Besides this, this metal machine is obtainable in different technical specifications and models as per the demands of the customers. Our prestigious clients can purchase this metal machine from us at budget-friendly prices.